Ever since I met H, Bangkok has become a destination that we would visit every year. 2015, 2016 and now 2017. Bangkok is truly food and shopping haven for Singaporean. 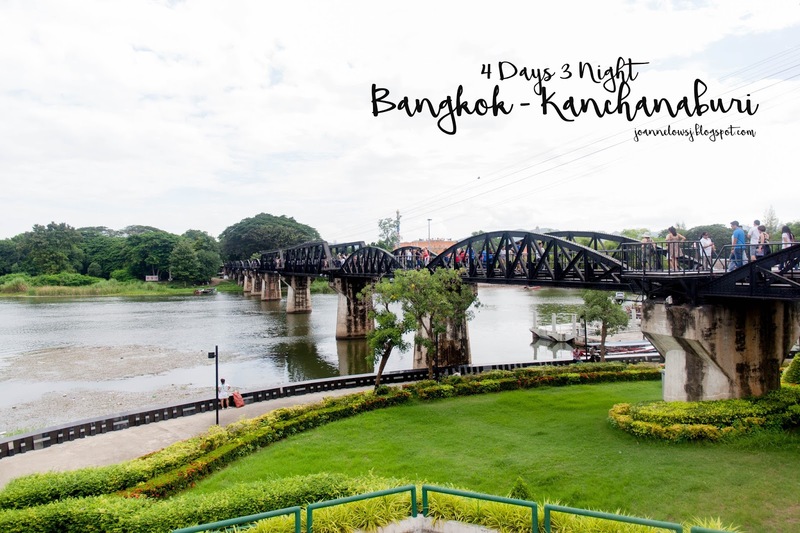 This time, we made a trip down to Kanchanaburi. 3 hours drive away from Bangkok, Kanchanaburi is a quiet town with marks left from WW2. I hope this itinerary gives you a different view of Bangkok and what you can do. Hope it helps! Inter Restaurant has become our to-go restaurant whenever we are here. Thus the first dinner in Bangkok got to be this place! Thankfully, it is still as good as before. We order roast pork slice, tom yam soup and red curry to share. Sure enough it didn’t disappoint us. The roast pork was tender and sweet! I could finish the whole plate by myself. The Seafood tomyam soup had the right amount of spiciness and wasn’t too sour. The only thing that we thought it can be improve is the serving size and it would be nice to have more seafood added in. Initially H wanted to order Green Curry but Red Curry was served instead. Unlike the green curry, the Red curry had a strong coriander and chilli taste. H love it! Other than the usual must-order dish, we ordered Stir Fried Morning Glory, Deep fried Egg, Roast Pork, Pad-Thai, Green curry and Minced Meat to share among 5 people in our last trip. Honestly, every dish were authentic, full of flavors and reasonably price. After dinner, we had Dessert at After you - a popular dessert chain in Bangkok. With the perfectly baked shibuya toast, it is no surprise why the dessert chain still has a long queue even though they had multiple outlet. A scoop of vanilla ice-cream and maple syrup drizzled on top the the toast, it’s the perfect combination! Plus, the toast is not too dry and still fluffy! We saw the staff redo his platting because the whipped cream wasn’t nicely pipe. Thus we concluded the reason why After You is still so popular is because of the quality check for every outlet is high. The only thing I hope they can improve on is the waiting time. Talad Neon, the newest night market open in the heart of city, has attracted many. Despite the beautiful neon light set up, I was pretty disappointed. There were hardly anybody on a Saturday night – 10 pm. No music and the ambience was a bore. Food choice were overly price and replicates of other stall. We tried a few street food and nothing amazed us except the fries. The night market definitely lost to other market in terms of uniqueness, ambience and range of food. If you only have a night market to choose, go Talad Rod Fai. 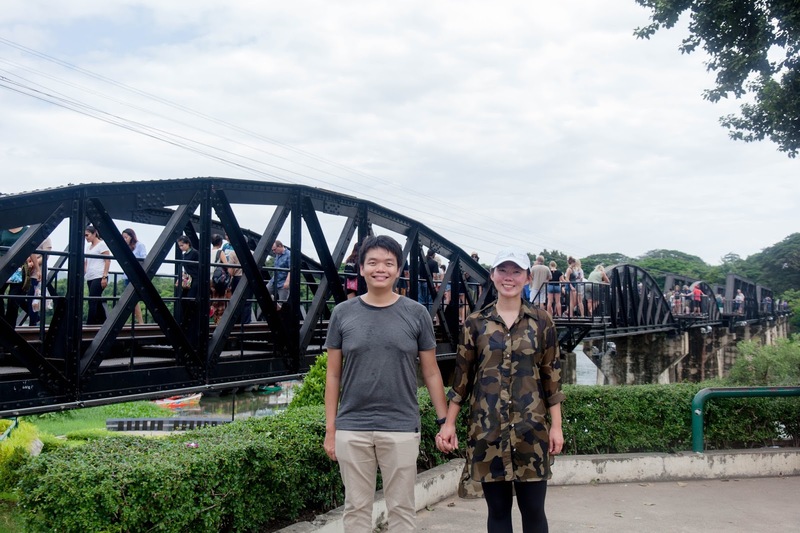 Instead of opting for Kanchanaburi tour, H & I decided to go by public. After 3.5 hours of bus ride from Bangkok Southern Bus Terminal, we finally arrived Kanchanaburi Bus Terminal. 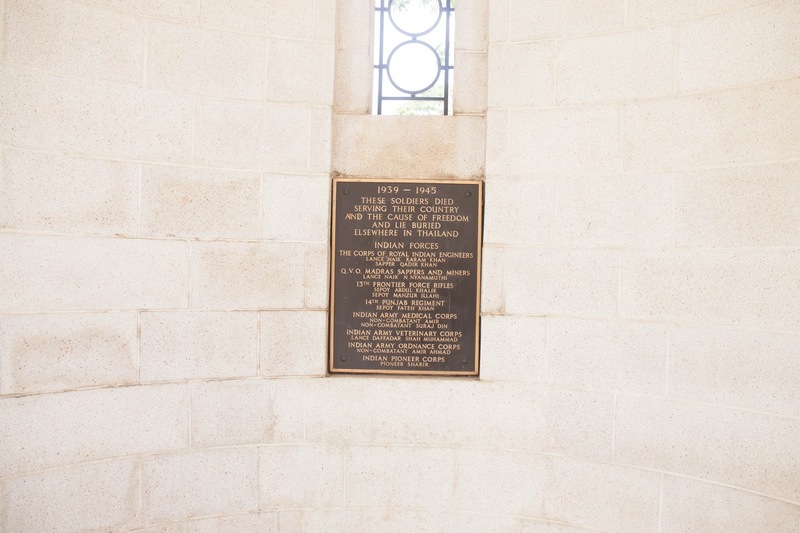 We first visited Jeath War Museum as it was located the furthest among others. This museum was small compared to others. Unlike others, information were limited. There are three parts to the museum. First - Photos and construction of Death railway, Second – items from the war such as military clothes, case of an unexploded bomb and etc. The last had a television showing short clip of the POW. Overall, I think more could be done to improve the experience but 50b for the entrance is a bargain. Next to Jeath War Museum, we found this buddhist temple by chance. Coincidentally, the temple had some event that day. H was very excited when he saw a sunday market and the locals were selling street food. We bought some food and brought over to the river side for lunch. Despite the scorching sun shining at us, I felt at peace. 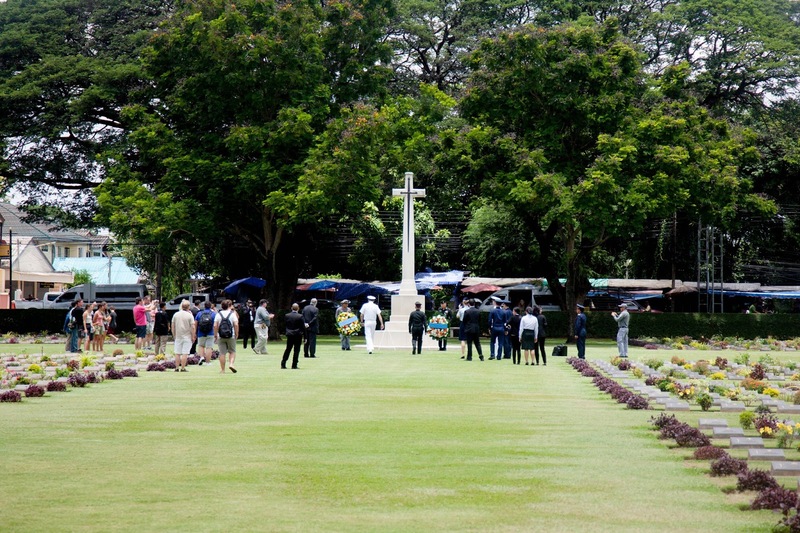 The War cemetery is the final resting place for many POW. Walking through the cemetery reminds me of the brave souls who fought hard and live. A well maintained cemetery to tribute these brave souls as well as a reminder to everyone that Wars bring us nothing but sadness. 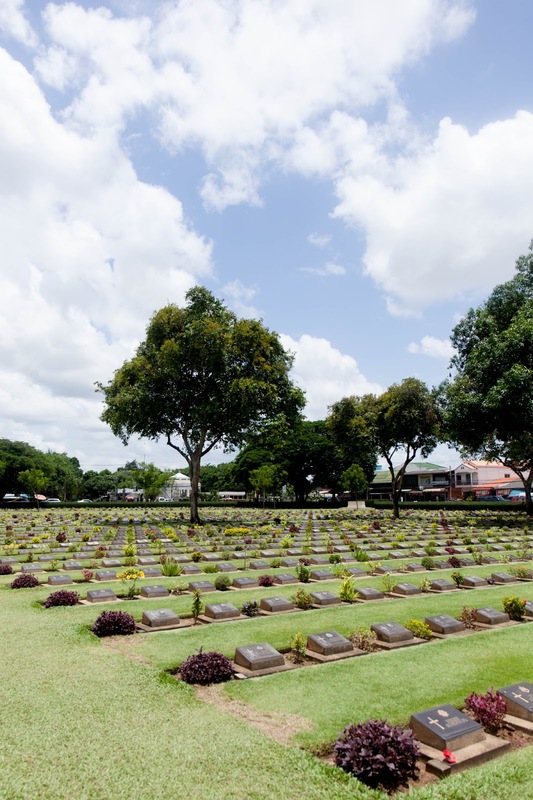 Located next to The War Cemetry, we walk to Thailand-Burma Railway Center. Personally, I feel that this museum was very informative and had a very good presentation. Especially for someone who are not familiar with WW2, this museum presented WW2 in a easy-to-read for visitors of all age. Unfortunately, no photography allow. The last attraction of the day was at River Kwai Bridge Station. Despite crowded with tourist, we had the good view of the River Kwai Bridge from the bridge station. The railway was called Death railway because over hundred thousands of laborers died during the 16 months of constructions during WW2. Feeling famished after a long ride, we took a cab and visited the nearest MK restaurant around the area. Although the roast pork and charsiew are mediocre, H & I love the roast duck! Its so tender and juicy! What’s better than having steamboat on a rainy day? Interesting fact: we found this round was the calories paper they gave us at the end. Although we were shocked by the amount of calories consume in that meal, we make our way to Southern Bus Terminal Night Market. We came across a hidden gem – Southern Bus Terminal Night Market after arriving Bangkok city in the evening. 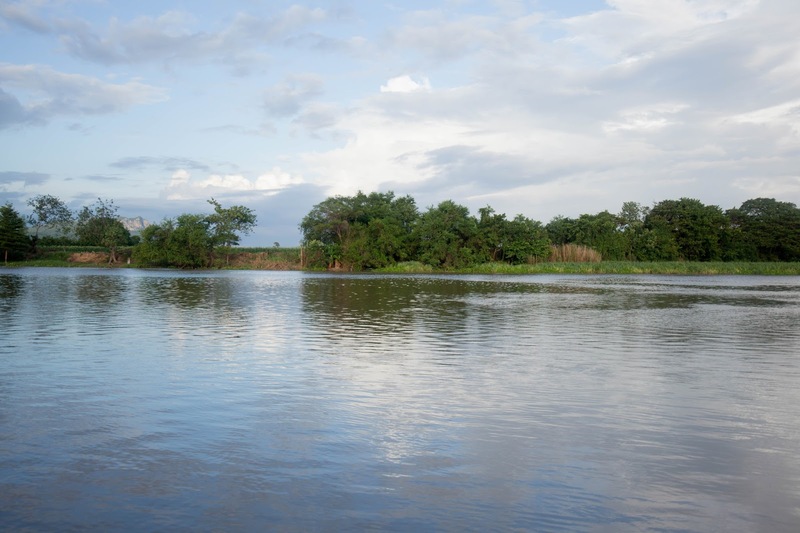 Located far away from the city, there is hardly any tourist seen. Food sold were very affordable and looks good! Unfortunately, we were too full to try any. From kitchenware to toys, they sell everything you need. However if you are looking for the latest gadgets or fashion, this might not be the place to go! My third time to this Massage Parlour, it sure did not disappoint. Despite being price slightly more expensive than other place, I like how clean that place is. This local eatery have been on my list since my first trip to bangkok in 2015. Highly rave in social media, this place was named – the best tom yam in town. Unfortunately, the tom yam was not to my liking. They had a sweeter Tom yam base as compared to the ones I had. There were hardy any locals when we arrived at 10am on a weekday morning. Nonetheless, this place serves a good simple noodle – 80b for a bowl of seafood noodle. Although I’m not sure if its worth to top up for the lobster because i had ordered the lobster - (small bowl) and it didn’t justify for the price and taste paid. Big C supermarket is definitely my favorite super market to go in bangkok. 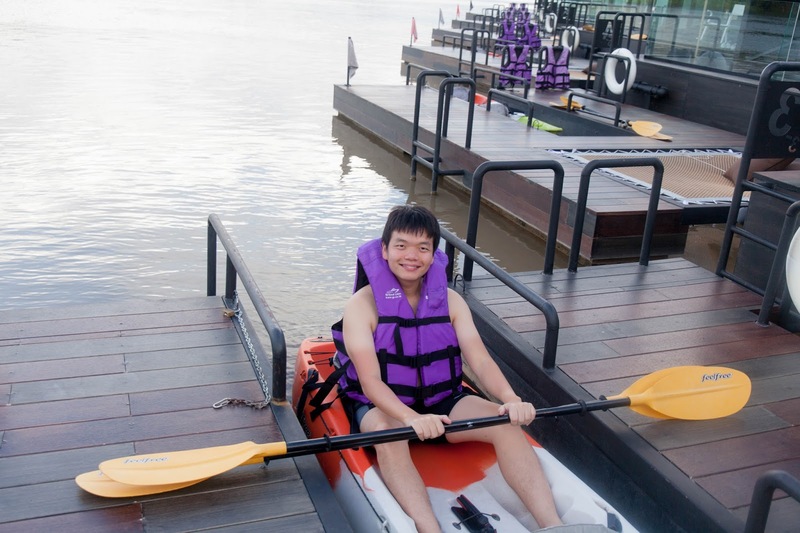 Although there are not many outlet in city, it is definitely worth visiting! I stock up my stash of snacks and they came in handy to share with family and friends. Favorite buy – TaoKaiNoi seafood, assorted flavor of Lays Potato chips and spicy cuttle fish. Som Tam aka Papaya Salad, is thailand favorite appetizer. Famous for their signature papaya salad, this restaurant had won many. Their papaya salad came with many variety and we ordered the traditional som tam – Peanut . Although the papaya salad is fresh and crunchy, I thought it was nothing fantastic. My favorite goes to the fried chicken. The chicken was perfectly fried with golden dark brown skin. It was so crispy and I love that the chicken had the ha-jong-kai shrimp taste. The only disappointment was the portion. 2 small pcs of chicken cut ino 6 part for 150b? Overall, I think this place serves decent thai food but the waiting time and price make me think twice. Unlike previous trip where we would visit chinatown, Platinum mall and etc to shop, we didn't do much of it this time round. We visited the iconic shopping malls in bangkok for food and got the usual Naraya souvenirs for our friends. 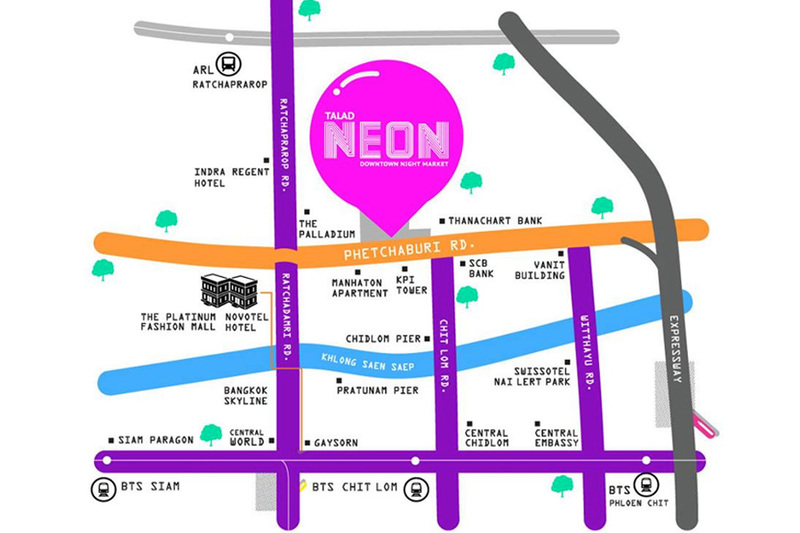 The siam district features mainly mid-range to high end designers items. You can find mostly international brands as well popular thai designer items here. While shopping can be subjective, I love the food hall in these malls! There are so many options to choose from! You can find After you, Audrey café & etc all in the same area! Similar to many shopping malls in bangkok, I like how this mall is not as crowded as others yet is located near the central area. Although there are no designer boutique, There is a cinema near by, premium supermarket and a really big food hall! H & I decided to book our hotel near Asok BTS for easy accessibility to all places and it is also slightly cheaper than the ones near Siam. Although this may not be the ultimate first-time bangkok must see itinerary, i hope that this guide help you in some way or another. Download the 2017 itinerary here. The Grand Palace ticket cost 500 baht and includes entry to Vimanmek Palace and Abhisek Dusit Throne Hall. You can visit the temples in thailand as they are really beautiful! The best place to view sunset is probably Wat Arun! Other than temple, i mainly visit Bangkok for the good Thai food and shopping! 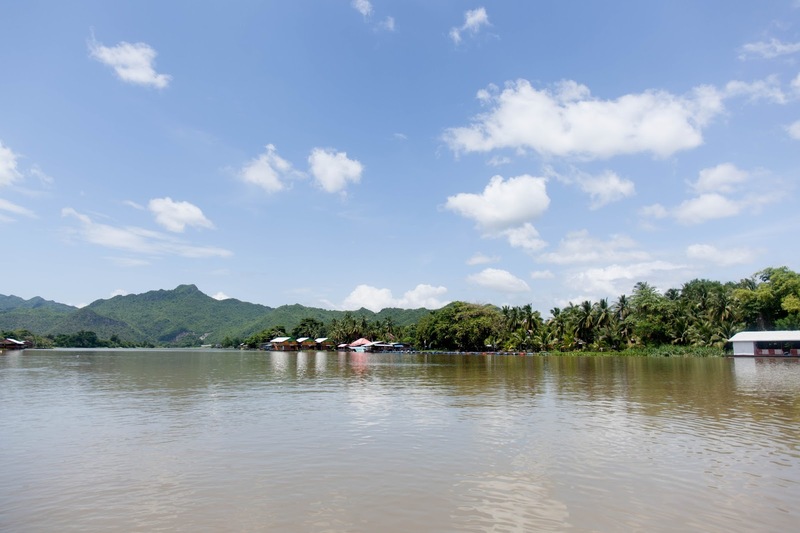 If both are not your kind of things to do, perhaps you can try taking a day trip out of Bangkok to Kanchanaburi to hike or Ayuttaya if you love temple. I'm guessing you are interested to see animal. I have not visit yet but you might You might want to visit Safari World. I have not heard of goasiaday trip but you can try Trazy. They have up to 40% discount for certain day tour. You can compare between both and choose the best option that suits you. Hope it helps!